This fall, Crocs, Inc. is introducing several new kids’ styles that will keep kids comfortable throughout the school day. What’s more, all of these new styles fit typical dress codes by virtue of having closed toes, enclosed heels, and non-marking soles. While these new styles may look dramatically different than the traditional Crocs™ clog, they still offer the same all-day comfort kids have come to expect from Crocs™ shoes. Plus, they all come at a price point moms will love – all are $60 or less! It’s almost hard for me to believe how quickly summer break has flown by since my son will be starting 1st Grade in a matter of two weeks. I’m mostly done with buying clothes for the new school year, and I was planning on buying a couple pairs of sneakers for him. However, thanks to Crocs, they saved the time and trouble by sending my son their Retro Sprint Sneakers ($39.99; Available in Light Grey / Sea Blue, Black, Lavender / Dahlia, and Pink Lemonade / White) and Hover Easy-on Sneakers ($39.99; Available in Sea Blue / Smoke and Pink Lemonade / Fuchsia). 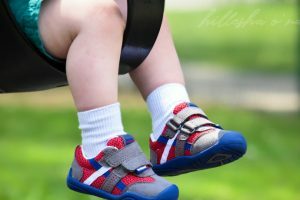 When it comes to shoes for children, they’re one of my few favorite brands that I rely on since their shoes are stylish, durable, and can handle the wear and tear than most brands. 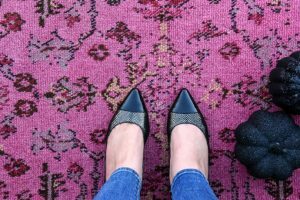 Let’s be honest, most boys (and some girls) are rough on their shoes, which means you’ll have to find shoes that will withstand the wear and tear if you’re wanting to get your money’s worth. The Retro Sprint Sneakers are inspired by the timeless running shoe, featuring a simplistic, yet stylish design with hook-and-loop closure kids can manage themselves. Also, featuring lightweight mesh uppers with suede accents, these shoes are perfect for growing feet since they’re supremely comfortable. 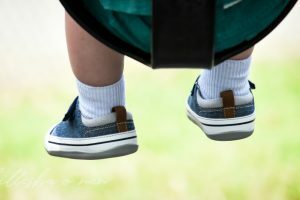 I honestly wasn’t fond of the Hover Easy-on Sneakers at first, because they look awkward without having any laces, but this enables children to easily slip them on or off. My son was always slow at getting ready during school mornings, so these will reduce the amount of time of getting him ready for those slow mornings. Celebrating its 10th anniversary in 2012, Crocs, Inc. is a world leader in innovative casual footwear for men, women, and children. Since 2007, Crocs has donated over 2.6 million of pairs of shoes to those in need both domestically and internationally in more than 40 countries including the Democratic Republic of The Congo, Haiti, Iraq, and Malawi. Disclosure: The item(s) in this review was provided to the reviewer for keeps and the purpose of writing a review. This in no way affects the quality of the review provided. No monetary exchange occurred in exchange for the writing of the review. The views expressed in this review are strictly that of the reviewer. All reviews provided here are the work of the reviewer and remain completely unbiased.